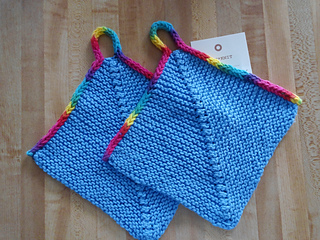 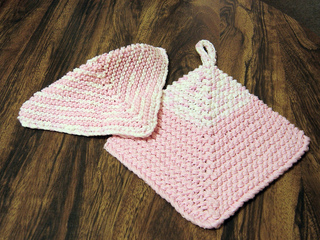 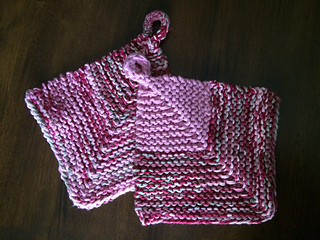 Potholder is made with 2 strands of cotton yarn, dishcloth with 1 strand. 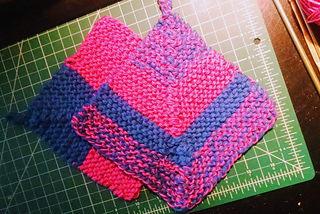 Double decreases create a diagonal design that can be striped. 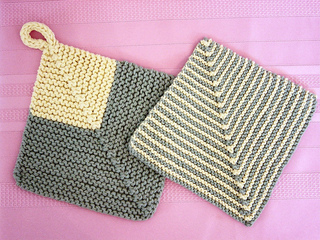 Two hanks (1 Main Color & 1 Contrast Color) of Fantasy Naturale will make a complete set.